It’s getting cold and chilly now as the year races past. Let’s not talk about how many Monday’s until Christmas, there will enough social media posts doing it now Halloween is over. I’m splitting a lot of my time at the moment concentrating on a mix of internal employee engagement and planning for the next couple of months. I’m looking at employee engagement because we are recruiting ourselves for new members for the Vanilla team. So I want to make sure our business is a brand of choice for potential recruits. I’m reviewing our benefits packages and flexible working arrangements. I’m also looking at the little things that can really make a difference to peoples everyday lives. I have a free fruit scheme in the office for the team to help themselves to as and when they want to. I am also looking into what we can do with vitamin D.
A lot of businesses suffer during the winter from employees taking sick leave or not feeling 100%. It’s been well publicised that keeping your vitamin D levels up during the winter when we’re not getting it naturally from the sun, can help with depression and overall wellbeing. It also has benefits for your vital organs and brain function. I’m not going to be administering vitamins to my team every morning but I am looking at whether or not we could have some at the office that people can have if they want to. My approach here is not just about cutting down on sick leave, but about helping everyone in my team to feel good in themselves for the benefit of their work and personal lives. If there is something I can do for the benefit of all of us, I am keen to explore it. Life is busy and challenging and we want to be the best versions of ourselves to tackle it. In terms of business planning, I’m reviewing the team’s performance and seeing what we have coming up over the next 8 weeks. We’re also doing a lot of work building momentum for January. The New Year is usually a very busy period for us as businesses start the year with new agendas and plans. According to October’s Jobs Outlook survey by the Recruitment & Employment Confederation (REC), almost a quarter (23%) of UK employers plan to take on more permanent staff in the next three months, with only 3% planning a reduction in their permanent workforce. They also found that businesses are seeking more temporary resource, with four in five (81%) planning to maintain or increase their use of agency workers in the run up to Christmas. Are you thinking about recruiting now or into January and February? We have a blog post with some tips on crafting your job descriptions to help you attract the right candidates and speed up your recruitment process. We can obviously help you with this as well, but it’s always good to have a clear role in mind and spending time defining deliverables and expectations is vital for a smooth recruitment process. 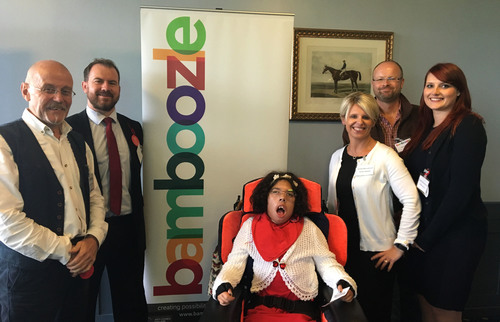 For the last 5 years, we have been very proud supporters of Bamboozle, a Leicester based charity who help support severely disabled children and their families. A couple of weeks ago, three of the Vanilla team went along to a race day they were hosting to raise funds for their work. 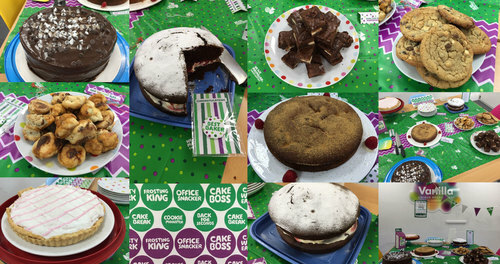 We also hosted a MacMillan cake sale this month, just us in our office eating cake. It was a good day and we raised £67.00 for this great charity. I have a question for you now; do you have anything you’d like to see featured on our Vanilla Pod blog? Maybe your business has some information that would be of interest to other Vanilla clients. Maybe some industry news, HR news, events etc. If you think you’d like to get involved, please get in touch.